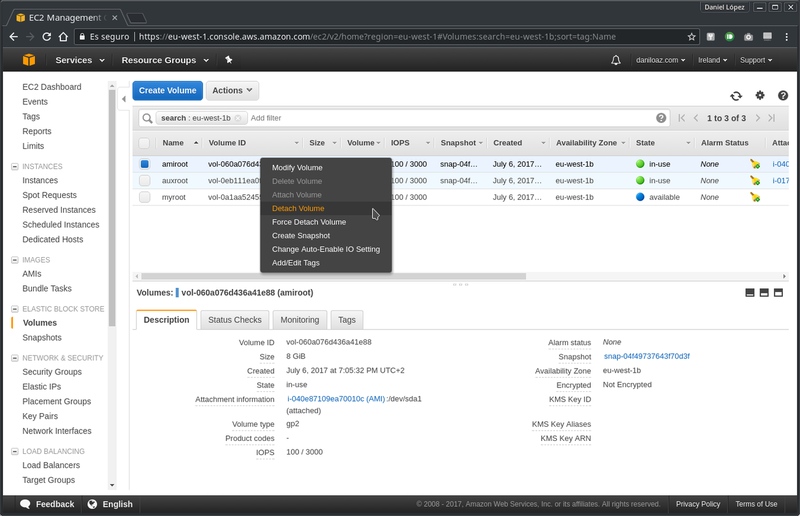 In order to follow out this procedure it is necessary to have an auxiliary EC2 instance other than the one whose root volume we want to partition. Any instance type will be useful, so you can opt for the most economical currently available (t2.nano). 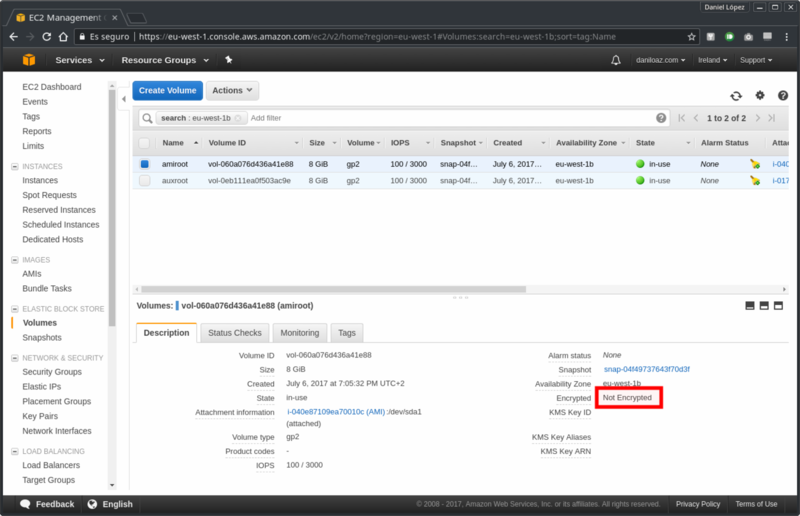 Since Amazon will only charge you for the time it takes to execute the procedure (about 30 minutes) and then you will terminate the instance, the associated cost will be very low. 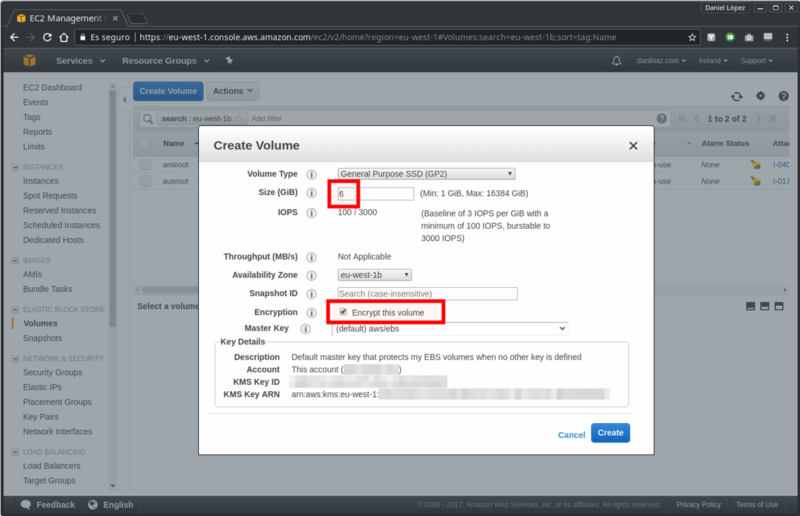 If you already have another EC2 instance running in the same region and availability zone, it will not be necessary to create a new one, since you can use the existing one to mount the volumes needed later. 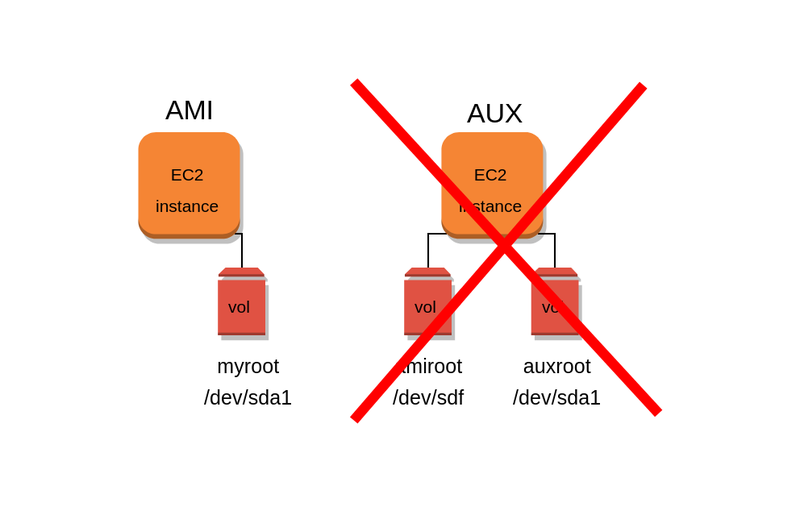 Mounting these volumes will not have any significant impact on the performance or capacity of the auxiliary instance used, but it is still a good idea not to use a production server that is critical for you, because if you make a mistake the service can be affected. It is not essential, but highly recommended, that the auxiliary instance has the same Linux distribution and version as the instance you want to partition so that installing the boot loader in the new volume is as straightforward and trouble-free as possible. For the example of this article I have used an Ubuntu 16.04.2 LTS instance. Thus, we start with 2 running instances: the one we want to partition and the auxiliary instance. We will call them AMI and AUX respectively, each with its corresponding root volume: amiroot and auxroot. In our example we will create a smaller volume (6 GB) than the 8 GB default size offered by Amazon, but you can choose the size that best suits your needs, be it larger or smaller than 8 GB. 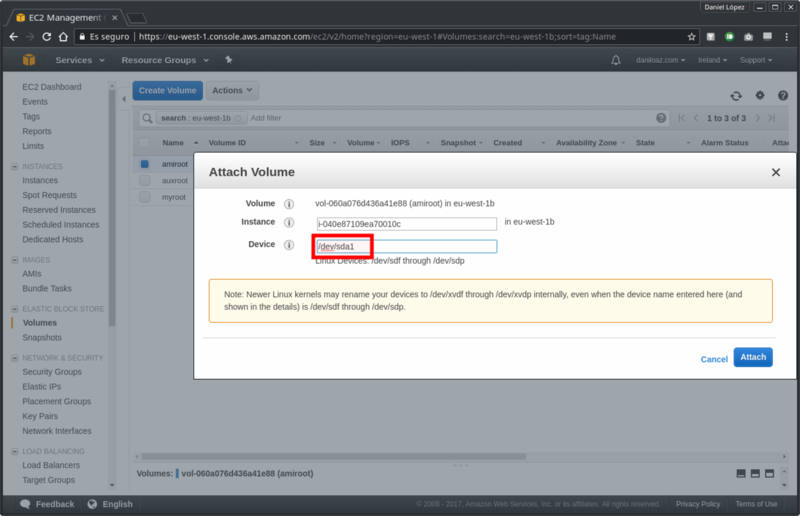 You can also take the opportunity to encrypt the new volume, since by default all the root volumes used by Amazon AMIs are not encrypted. 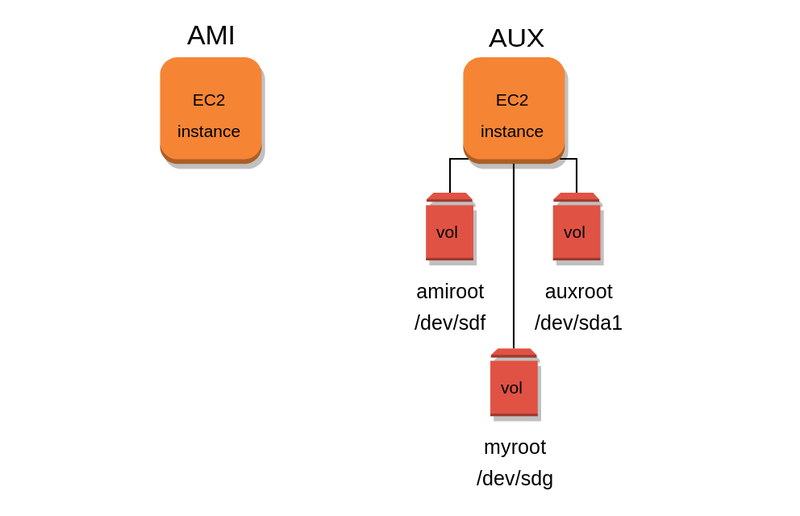 Now you will detach the amiroot volume from the AMI instance and re-attach it to the AUX auxiliary instance. For this it is necessary to stop the AMI instance first, since being its root volume can not be detached without stopping it before. On the contrary, both volumes can be hot attached to the auxiliary instance with no problem because its root volume is auxroot and it will remain unchanged. You will assign the /dev/sdf device to the amiroot volume and /dev/sdg to myroot. If everything was ok then amiroot volume should appear as xvdf and myroot as xvdg. As you can see, there is an 8GB partition already created and mounted on /dev/xvdf1 which corresponds to the partition that came with the root volume of the instance created from the AMI. Since myroot volume was created from scratch it doesn’t have any partitions created yet. In order to achieve a better performance you will want to check if all partitions are optimally aligned according to the disk geometry. 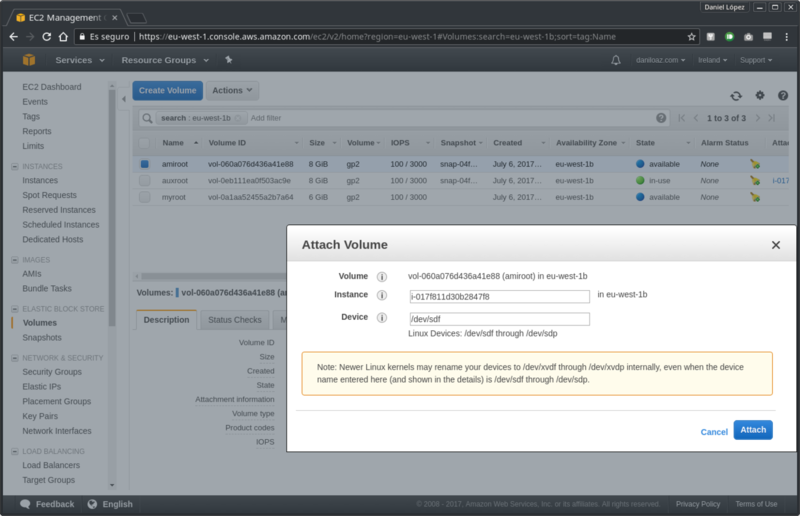 Actually this is only necessary if you created an HDD type EBS volume, such as st1, sc1 or magnetic, since gp2 and io1 volumes are backed by SSD disks (you can see details of different types of AWS EBS volumes at http://docs.aws.amazon.com/AWSEC2/latest/UserGuide/EBSVolumeTypes.html). However, if you specified partition size using percentages (%) instead of GB, MB or sectors you will not have to worry about this because parted will always align them optimally and the result of the previous check will always be satisfactory. It is very important at this point to unmount the original amiroot volume single partition and detach it from the auxiliary instance so that the grub boot loader installer that will be run later can not detect there is another bootable partition that interferes with that in the new partitioned volume. It is not enough just to unmount it with the umount command, but it will also be necessary to detach it from the instance as did previously in section #2. Before doing so be careful to disable the /etc/grub.d/10_linux and /etc/grub.d/20_linux_xen scripts because they can cause problems in detecting the bootable BPP partition. To do this, simply add the exit command to the second line of both files, just after #!/bin/sh. Do not forget to re-enable the 10_linux and 20_linux_xen scripts when you are finished if you have used as your auxiliary instance a server that you will use for other purposes. If not it doesn’t matter because at the end of the procedure the auxiliary instance will be terminated and destroyed. First it is necessary to obtain partition UUID identifiers using the blkid command. It is best to run as root because otherwise it will not display swap related information. If you want to know more about the different mount options used in the example I recommend you again reading my article The importance of properly partitioning a disk in Linux. As part of the last step of this procedure, unmount all partitions previously mounted and detach the myroot volume already partitioned, configured and bootable from the auxiliary instance. Then re-attach it to the final instance in which it will be used, the AMI instance launched at first. 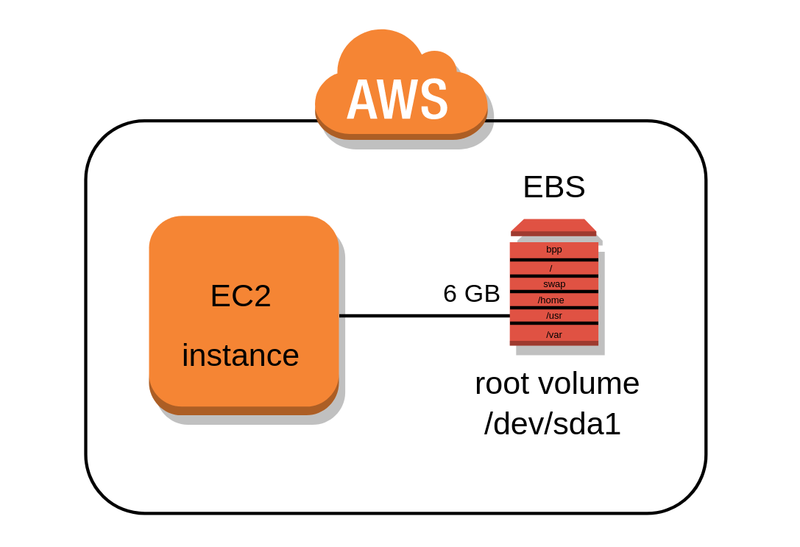 It is very important to attach the myroot volume to the EC2 instance as /dev/sda1 device in order to state it as root volume. Otherwise you will have problems booting the operating system. 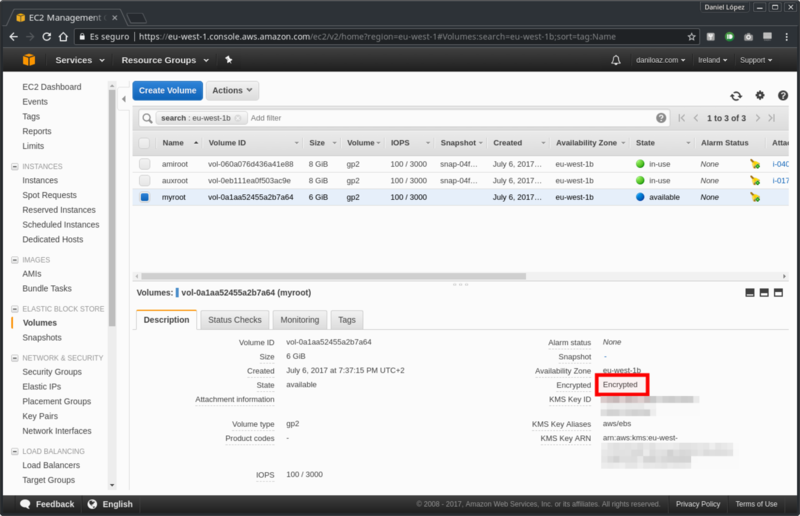 If everything turned out well your instance should boot normally and you will be able to see in the EC2 instance system log the login message as it is shown in the third picture below. If something goes wrong you will get more information about the issue in the same log. And that’s all. Now if you access the new instance you will see that everything is the same as before, but if you do a df -h you will see that all partitions you created before are displayed as mounted, and if you run the free -h command you will see a swap amount available equivalent to the size of the partition created in step #4. 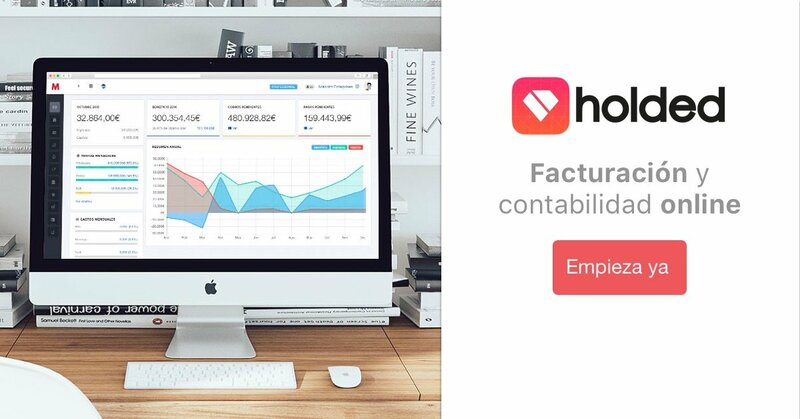 Do not forget to terminate the auxiliary instance if you are not going to use it anymore. Enjoy your new system, which is now safer and better prepared to deal with changes that may occur in the future! This does not appear to work with the AWS stock RHEL 7.4 AMI. Tailored it somewhat to utilize grub2, but to no avail. Any suggestions are welcome. I get no logs from the instance and it fails one of the status checks at boot. 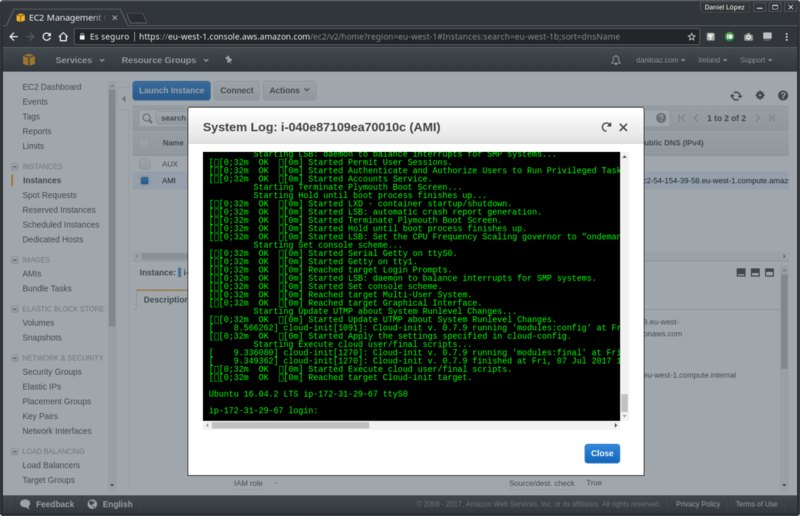 If for any reason you can’t see the system log you can attach the volume to other auxiliar instance that boots well and inspect syslog and other logs to try to find the causes. 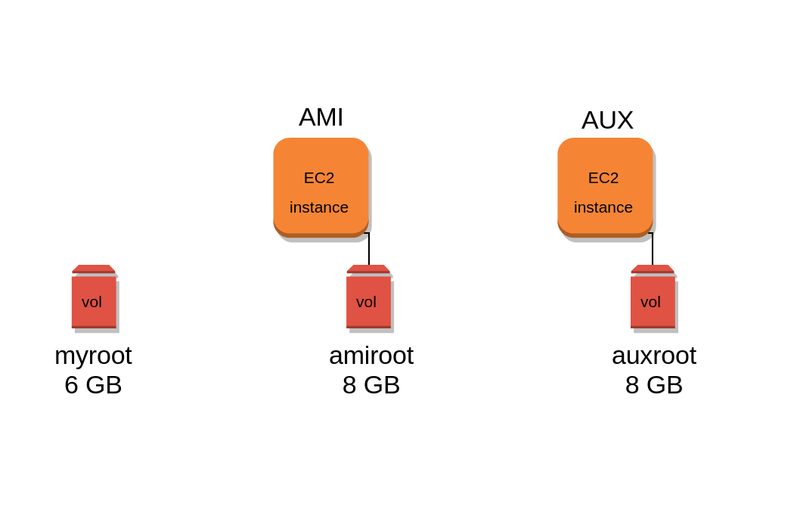 Forget about the default “cloudimg-rootfs”, which is only a label that points to Amazon’s AMI original partition UUID. You have to configure your new fstab file with UUID’s from your new partitioned volume as in the example. Specifically, in the example / corresponds to the second partition (/dev/xvdg2). It’s really good article for custum partition but can’t find grub-mkconfig command on RHEL6, is there any suggestion do it.? Hello Daniel. Thanks for such a wonderful article. I tried these steps, and countless others from other blogs, but somehow it doesn’t work for me. You are my only hope at this point. Below are the high-level steps that I performed. 1. I want to shrink size of ami-0a6b7e0cc0b1f464f from 30GB to 2GB which is an ecs-optimized ami in us-east-1 region. 2. I start a t3.micro instance of ami-0a6b7e0cc0b1f464f, then make a new volume from the snapshot of this AMI – I am calling this the “source” volume. I also create another volume (without any snapshot) of size 2GB – I am calling this the “target” volume. 3. I attached the source and the volume to my instance. Here is what they look like. nvme0n1 259:0 0 30G 0 disk <– This is the root volume. nvme1n1 259:3 0 30G 0 disk <– This is the source volume. nvme2n1 259:6 0 2G 0 disk <– This is the target volume. 4. Using the gdisk utility I re-formated the target volume and then using mkfs.ext4 created the filesystem. The target volume now looks like below and is exactly the same as source. 5. I then used rsync to copy files to target volume, unmounted the source volume and detached that volume completely. 6. Following your steps I installed the grub2 and changed UUID in my target volume's /etc/fstab file. 7. Finally I unmounted and detached my target volume. Took it's snapshot, created a new AMI, and started a new instance off of that AMI. The instances fail on one of the health check. There are no logs visible, so I am not sure where to go from here. Please help. I would need the output of parted -l command from the system you have all the volumes attached to and the /etc/fstab, /boot/grub/grub.cfg and /boot/grub/menu.lst files. 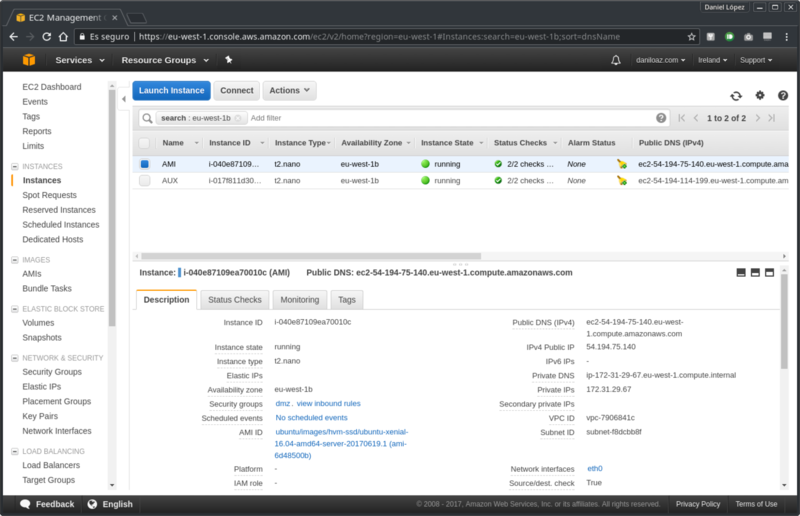 Also a screenshot from EC2 instance console and system log if possible, please. It is also not working for me i followed all the steps. 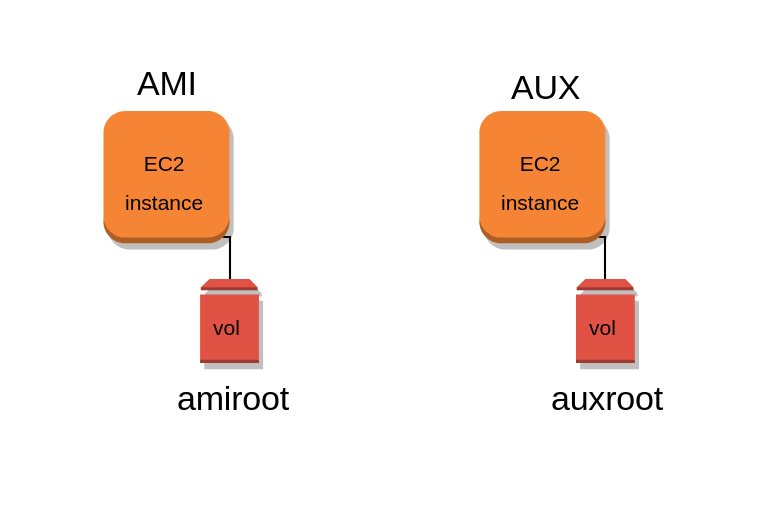 Which AMI/OS is your root volume? What errors do you get and where?